With a reputation for high-quality and reliability, Qingdao Risense Mechatronics is a car wash equipment manufacturer with almost a decade of design and production experience. Our customers are primarily made up of car wash service providers and we supply them with equipment like our car wash tunnel systems, rollover car wash systems, touchless car wash systems, soft-touch carwash systems, and high pressure wash systems. Based on time tested technology from Japan and combined with the latest innovations in Europe and America, Risense offers complete and unique car washing systems. To satisfy the specific requirements of customers and to provide them with the best possible equipment, we start by selecting raw materials. We utilize trusted suppliers, allowing us to optimize our car washing equipment from the fundamental stages of production. This dedication to quality continues throughout the manufacturing process. We use a mature and stable numerical control processing technology to process all components, frames, motors, and the non-standard parts used in our car wash equipment. 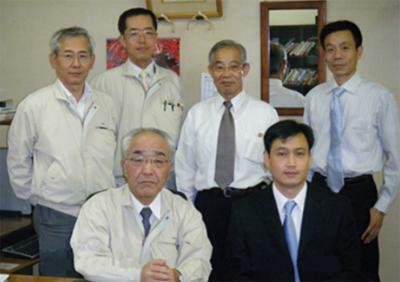 In Oct. 2009, the director of Risense, Mr. LiYu Hu was invited to Nagano, Japan, the headquarters of MK SEIKO to negotiate with Mr. Eiki Maruyama and eventually reached an agreement. In Dec.2009, Risense sent the first batch of trainees to Japan to learn the design and manufacturing technology of the car wash machines. Today, Risense has more than 260 employees, including managers, experienced technicians, sales staff and service staff to provide you with excellent car wash business solutions. Our company has obtained ISO9001 Quality System Certification, Europe CE Quality Certification and ISO 14001 Environment Certification. We conduct production and quality inspections in strict accordance with the standards set by these governing bodies and some of our own additional standards. We put forth great effort to meet all of the requirements of our customers. As a car wash system manufacturer, we have nearly 10 years of production experience. To date, our vehicle cleaning systems have been sold in more than 100 countries including Russia, the United States, Canada, Singapore, Saudi Arabia, Pakistan, and Spain. If you are in search of a new vehicle cleaning system or are looking for an agency opportunity, you are welcome to contact us. Add. : 9, Lebuhraya Sungai Besi, Salak South Garden,57100, Kuala Lumpur.